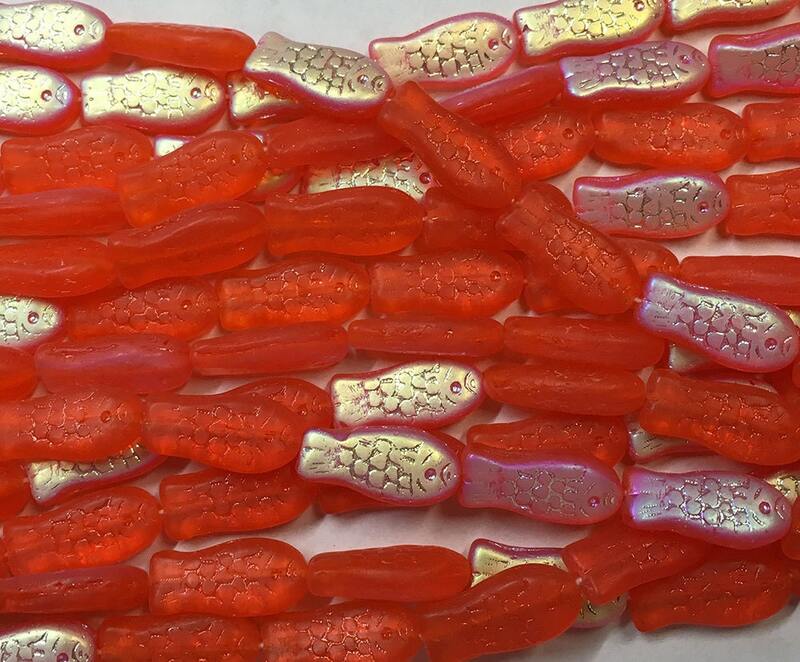 Nice fishy Czech pressed glass beads in a pretty red hyacinth matte color with an AB finish on one side. Shiny like real fish scales! They are 14x7mm and you'll receive 25 beads! Exactly as the picture showed!!! Perfect size and quality. Looks like little swedish fish- which was exactly what i was looking for. Quality Item and fast shipping!